The mission of the Agriculture sphere at G.O.D. International is to train up competent farmers to serve around world. We believe that by focusing our efforts on education, we can empower farmers to implement sustainable, ethical farming practices for the development of their local communities. At Jean Martin Fortier's conference, our farmers learned to increase efficiency and production in small scale farms through intelligent farm design and various cropping methods. At our Tennessee headquarters, students pursuing agriculture as an area of expertise are given hands-on training in our community garden, Hopewell Gardens, coupled with periodic educational training. This December we sent three of our farmers (Aaron Montgomery, Geoff Hartnell and Andrew Wolfe) to a two-day farming conference in Arkansas where world renowned biointensive market grower, Jean Martin Fortier, conducted a workshop demonstrating innovative techniques for maximizing production on small plots of land. Like us, he believes in the use of appropriate technology. He promotes limited machinery and limits his practices to mostly hand tools. Our farmers who attended the training and brought back many new techniques we hope to implement in the coming growing season in Nashville, where we are planning to triple the size of our garden operation this coming year. 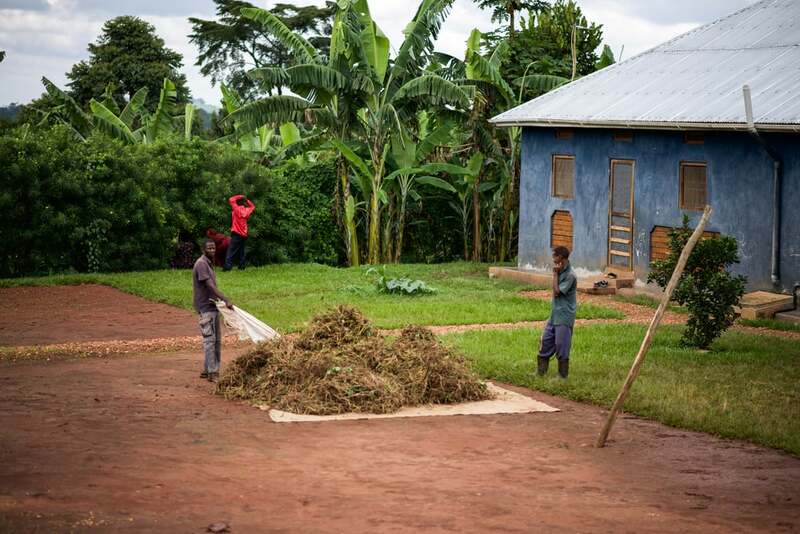 At our property in Uganda, the agriculture team processes some of their fresh green peppers and greens. 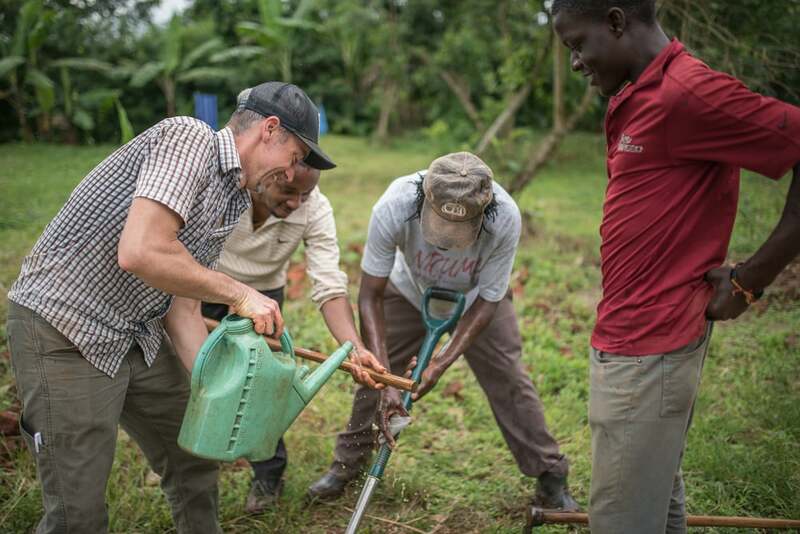 While our U.S. farmers were pursuing further education in Arkansas, I had the privilege of traveling to East Africa to continue to empower our Ugandan farmers, as they too have been expanding their own community garden. In Africa, most people farm to survive (not because it’s trendy or good for your health). Farming occupationally is understood as something you do when you have no other options. By introducing the biointensive farming approach to our East African farmers, my desire is to bring a shift in this perception. I want to show these men that farming can be a means of not only surviving, but thriving. It can bring health and true prosperity to their families and their communities. It can be a beautiful partnership between God and human beings as we learn to work with the systems of nature, rather than fighting against them. Over the years, we have educated these farmers on the many detriments associated with the use of harsh chemical pesticides and fertilizers that are marketed in their region. Not only do these products destroy their soil, they can have long term negative effects on the health of those who handle them. While they had been doing their best to control the pests organically while attempting to expand their community garden, it was to no avail. 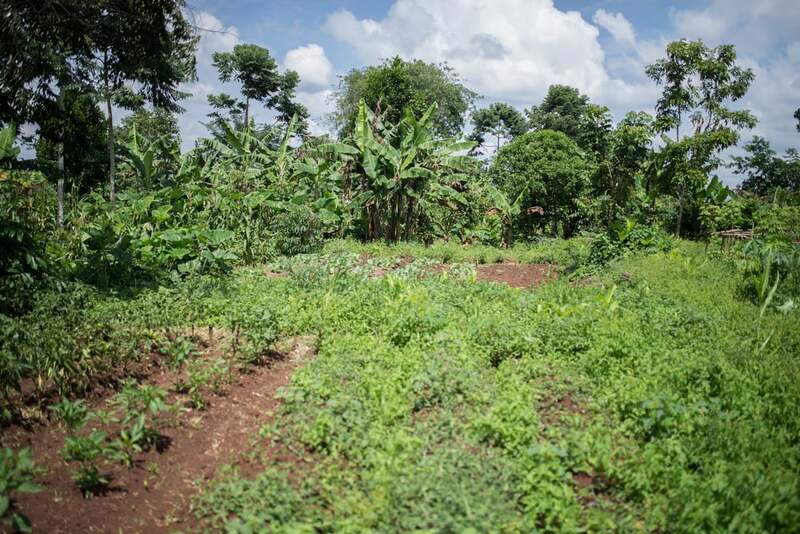 In the process of expanding the community garden in Uganda, the farmers have had a difficult time controlling pests and diseases in their crops. One of the primary focuses of my time there was to address the issue of pest control and eradicating the disease that is continuing to eat their crops. At Manor House Agricultural Center, our team learned about how to create their own pesticides from local plants. We are so thankful for these helpful lessons! In an attempt to provide the most regionally appropriate answers to these problems, I escorted six of our African farmers, along with one of my colleagues from the U.S. (Zach Hartnell) to a week-long training at the Manor House Agricultural Center in Kenya. This is a training facility that was established by master organic gardener and author, John Jeavons, a man often referred to as the “father of biointensive agriculture.” The uniqueness of the Manor House is that it offers an in-depth education from a local perspective. Situated in a similar growing environment to our land in Uganda, the instructors were able to provide many organic solutions using locally available tropical plants. Not only did we learn how to make our own pesticides from botanical extracts, our African friends were given the opportunity to see a real life example of what we are attempting to create on our land in Uganda. (L-R Simon Peter, Seth Davis, Andrew and Edwin) The bond formed between these men continues to grow. This was right before they set out to Uganda, after receiving several new pairs of work clothes. One of my personal objectives for this trip to Africa was to be intentional about getting to know the newer members of our East African agriculture team on a deeper level. Every night after dinner, we shared times of worship and bible study, and finished off each night with someone sharing their life story. Hearing these stories of my African brothers changed me. Hunger is something few of us here in the U.S. will ever be able to identify with, but for them, it’s a shared experience they’ve all had to face. Yet, they don’t shake their fist at God for the suffering they’ve experienced. Instead, they thank God for bringing them through it. The gratitude, humility, and depth of character that they exude humbled me to the core. The friendships I have forged with them reignited my soul. Reuben Ndwiga (center) has transformed his home garden in Kenya, and has trained dozens of neighbors in the methods he's learned. His relocation to Uganda will help our team immensely. Our prayer is that the community garden in Uganda can flourish this year. The current expansion taking place there is for the purpose of sustaining the needs of the four families who live on the land. Our East Africa Director of Agriculture, Reuben Ndwiga, is about to move he and his family from Kenya to join these other families. He will manage the expansion of the farm to over three acres, tripling its current size. This will help to empower these families to not only provide for themselves and their children, but also to be a blessing to the local community around them, providing an abundance of fresh, safe organic food. The Lord is doing so much in our midst and we are so excited about the growth in our agriculture department, both here and in Uganda. Our mission to train competent farmers is already happening, but is also not complete. My trip taught me about the reality of hunger for so many in our world, and I believe that teaching food production combined with the biblical ethics of sharing and fair markets has the potential to change the every day pangs of hunger my friends have had to experience. On a mobile device, turn your phone sideways to view captions below. Our partnership with African farmers is such a blessing to us. Through education and empowerment, we believe the future is full of fresh food for more people who need it! Students from the Institute for G.O.D. EA gather the grass clippings they combined after cutting with a scythe. They will use this for compost to encourage more growing. Seth (left middle) and Reuben (far right) help the students process fresh produce and prepare the greens for their first salad. They loved it! Edwin, a student at the Institute for G.O.D., proudly displays the final product. Delicious! Our land in Uganda is quite fertile, but it still takes a lot of work to produce. Compost piles in the Uganda garden. To give towards our food production efforts in Tennessee, click here. To give towards our food production efforts in East Africa, click here.